Bora Cosic on reading books no one else reads. Sometimes one feels a little like this about Paddy’s work; so few people you meet have actually read him. Thanks to Chris Lawson for bringing this to my attention. I think we can all enjoy this. I remember a scene related to me by a poet of the Belgrade surrealist circle, Dusan Matic. 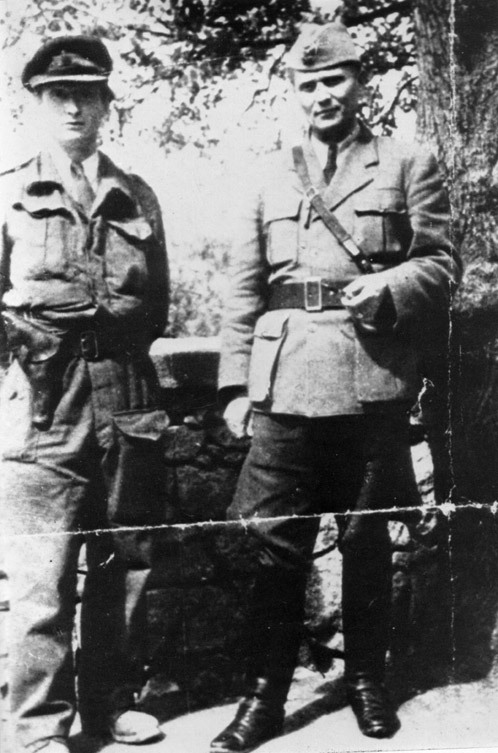 In 1941 he took part in the Montenegro guerrilla revolt, and while the fighters-to-be were cleaning their guns around him, the poet sat on a nearby terrace, smoking and reading Nietzsche. He was annoyed by the many soldiers who came to light their cigarette on his, he told me, he didn’t have the nerves to support the smoking habits of an entire people’s liberation struggle. So he returned to his room in Belgrade during the unpleasant period of occupation, with its many dangers. When I think about it now, I don’t believe that Matic distanced himself from war because of this smoker episode, but rather because the masses of soldiers had interrupted him while reading. But I am not alone. I have read books that no one else has read, says Paul Valéry. Books from technical disciplines, these interest me. Balzac systematically read dictionaries, not specific entries but from start to finish, as if following a narrative. How many interesting things there are to read, which at first glance might seem irrelevant and meaningless. One woman expected Erasmus to write something that would help her husband get a grip on himself, Roland Barthes relates. Or as Claudio Magris mentions, Montecuccoli wrote his aphorisms on the art of war in a Stettin prison, during his hiatus from the Thirty Years War. Were I a poet, I would dedicate the most beautiful poem to roux soup, admits Bela Hamvas. “A Meditation Upon a Broomstick” is the title of an essay by Swift. I would give everything to find out what a German wrote about a lemon peel, as Rousseau says, what Erasmus wrote to bring a neurotic man to reason, or Montecuccoli’s “Art of War”. Reading has only recently become a silent act. Two hundred years ago everyone read aloud. This was dictated by church ritual, in which one, or better said everyone, had to listen to the “holy” text. In the first cathedrals entire choruses of believers spoke aloud this reading material that they viewed as godly. This muttering was further practiced by those few people on earth who at the time were, by some miracle, able to read, as if everyone one of them fulfilled the role of today’s speakers and leaders. Then some anonymous Copernicus of reading came along, who brought the entire practice inside by following his text “in his mind”. Thus the letter-for-letter literalness of ecclesial or school reading was lost. Because what goes through my head when I do the work of reading is not necessarily the same as what someone else wrote. One readily discovers this when undertaking a fresh reading of something that was once familiar. Not only do I rediscover what I had forgotten, but also I realise that “there” in the text I had read long ago there is nothing of what I expected to find! This is the valuable reading of a text, which the reader has created within himself by grinding up a mass of foreign material in his mill and transforming it into something different through unexpected combinations. Read again, many incidences that remained in one’s mind from before play out in a different way entirely. We carry within the texts that fall into our hands. There are philosophers who believe: the things that we find in books are those that we have brought to them. Borges said that – his protagonist writes an already existing book all over again, convinced that only the repeat exists, not the original. In Musil’s novel, by the way, there is a strange librarian, who guards thousands of books without every having opened even one of them. But still he knows everything about them, because we apparently sometimes also read when we are not reading. As it is, libraries make normal people anxious, seeming like overload, regardless how orderly the catalogues may be. I therefore do understand those who flee from reading as if it were the plague. Everyone has a right to their individual fears. Canetti finds a way out of this in a novel about books by causing the library to burn down. However, after every barbarian plundering there will always be someone who reads the few remaining recognisable characters lying in the ashes. So my daily ploughing through the pages continues, my unrelenting vice. There are many people guilty of making me this way. My grandmother, first and foremost, who already taught me to read and write at age four. (As we see, there are two phenomena that run parallel to one another; writing is a form of reading, and reading means writing.) I immediately pounced on everything legible, attentively deciphering the labels on the kitchen containers for salt, coffee and sugar, on the advertising pamphlets in the boxes of soap, on the chocolate wrappers, the dates on the wall calendar, the words on the enamel sign indicating where the basement or bathroom was. I studied the receipts my mother brought back from shopping; there were all kinds of letters and entire words on the inside of Papa’s hat, on the edge of Mama’s scarf, on the seam of my T-shirt. And then the signboards, the scenery on the streets of the city where my life began! Today I think that these very things, the linguistic imprint of daily human existence, were my first reading material, long before Karl May and Tom Sawyer. And then after I had read Dostoevsky and Proust for the first time there was still an immense amount of room for the global vices of all-purpose books, handbooks, guides, what we call “technical literature” but which also includes a lot of unscientific, fantastical and almost crazy things. Since my youth I have tended to seize upon this odd reading material. In a used book shop in Belgrade the bookseller always set aside these kinds of things for me: about the migration of birds, the unusual meteorological phenomena in the Alps, the form of address in official letters, and beekeeping. Even before that, in Slovenia, where both my grandfathers come from, I derived particular pleasure from reading a little book on home remedies, raising children, on “world events”, regulations about male and female servants in the kingdom, “eternal calendars”, spelling books for schools, and etiquette tips for the village and the city. Out of all of these, I must admit that as a child I was most drawn to a cardboard book, which actually only consisted of book covers; there was no content because the covers alone were sufficient to advertise a chocolate factory. There were the little papers that were rolled around medicine bottles, that one stuck into boxes of sweets – this all was great fun to me at an age when I did not yet understand the meaning of individual words. And so this old Egyptian tradition – as applied to the production of modern medicines and confections – had a belated impact on a child’s consciousness by teaching him that books are not only found in books but many other places. This idea was revisited by the Pop Art artists and even our avant-garde artists of the Slovenian group OHO. What a motley collection of poetic messages they packaged into bigger and smaller boxes, believing that this would allow them to participate in the production of reading. Once I bought an iron book, which told the history of many iron objects, but its cover was actually made of tin. A magazine published in former Yugoslavia had a plastic binding, made from the same material used to produce raincoats. I read my fill at various times, not only of printed texts, I was also a careful reader of book covers, bindings, and what is printed on the dust jacket. I would say that one finds an entire culture of the written word in abbreviated form, if one only looks at the narrow column printed on the inner flap of the book jacket, where there is a description as succinct as a dictionary entry telling what the book is about. If all the books in the world were to disappear, (as in “Fahrenheit 451”) and only the book covers remained, perhaps one could reconstruct human thought in this way. Thus early on I learned that the greatest driving force behind mankind’s culture of the written word unremittingly leads to the exceptional, irregular and astonishing – from which Dadaism and all of Surrealist literature has sprung. Where the reading of apparently incomprehensible texts originates, as early on in Mannerism, then in the crazy dialogues of Lewis Carroll, Edward Lear and Ionesco. Those wonderful fantasies before death in “Krapp’s Last Tape” by Samuel Beckett. As if people might be able to near their end in a surreal manner that nevertheless seems normal. When the eye doctor bids me to read aloud a single letter on the wall of his office, do I stand before the end of all reading? The Serbian and Croatian author and essayist Bora Cosic (1932) lives in Berlin and Rovinj. His is the author of some 30 novels, volumes of collected stories and essays, including his acclaimed novel “My Family’s Role in the World Revolution” (1969). He is one of the last authors to describe his native language as Serbo-Croatian in a rejection of nationalist literature. 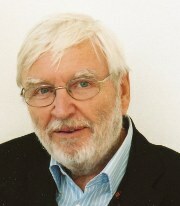 In 2002 he was awarded the Leipzig Book Prize for European Understanding. This entry was posted in Uncategorized and tagged Belgrade, Bora Cosic, Dusan Matic, Montenegro, Valéry Larbaud on September 20, 2011 by proverbs6to10. Where in the world have you come across Patrick Leigh Fermor? I have just returned from Montenegro where I had a holiday with my family. It is a place that is not at the top of the list for most people I guess, but it does attract many Serbians and Russians, particularly to its spectacular coast. We were attracted because it was different, has spectacular scenery dominated by huge mountains, is relatively unknown, and it also enabled us to visit some very famous Serbian Orthodox monasteries as my wife and I are also very interested in Byzantium and its art (see MyByzantine blog). 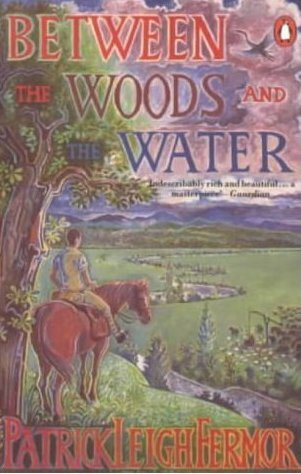 On our first night, as I casually flicked through the books left in our villa by the owner and previous visitors, I was surprised to come across a paperback copy of Between the Woods and the Water. It had been read and was in good condition. This gave me the excuse to encourage Kim to read it as she happened to be coming to the end of A Time of Gifts which she was enjoying. It made me think that many of you who read the blog may have come across Paddy’s work in unusual circumstances, and in faraway places. It would be interesting to hear more; why not paste a comment below or email me (tsawford[at]btinternet.com)? Let’s see who has the most interesting tale to tell! This entry was posted in A Time of Gifts and tagged A Time of Gifts, Between the Woods and the Water, Montenegro, Patrick Leigh Fermor on July 28, 2010 by proverbs6to10.